Curl is an all-in-one reporting and research tool that can be used for unlimited eBay and Shopify stores. With Curl, you can compare competitor products, analyze product performance, review past product performance and export sales data, as well as receive and respond to messages instantly from your slack account. Keep reading to learn more about curl.ai or sign up for a free trial today and test it yourself. Purchase Channel: eBay, Shopify, Paypal, Stripe, etc. The ability to import, filter, and analyze your store products offers analytical insights to improve the performance of local and global sales. For example, you can analyze seasonality on sales performance and make critical decisions to drive growth and traction for your products. Want to see who’s selling the same or similar products as you and dive into their metrics? 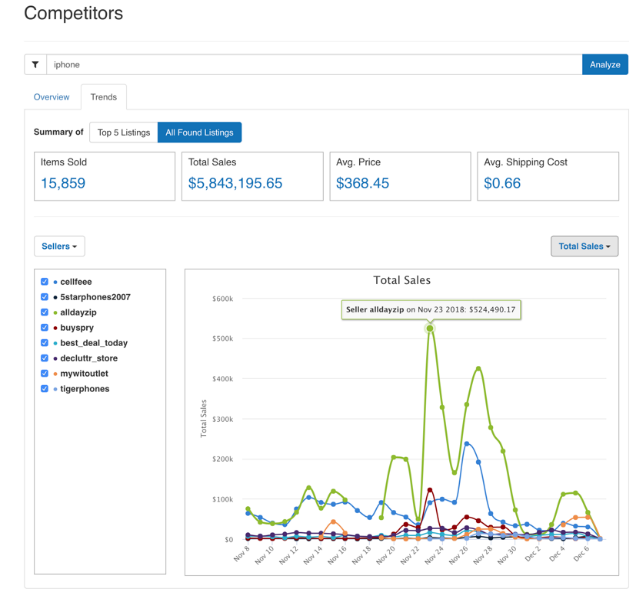 With curl, you can track your online competitors and learn how they compete. Curl provides you with a summary and analysis of the sales volumes for the last 30 days from any listing. This can be used to tap into recent trends and competitor performance so you can make strategic decisions on sales pricing and more. The ability to compare sellers, and trend their sales, items sold, and other metrics over time to see how sellers are comparing vs. each other. 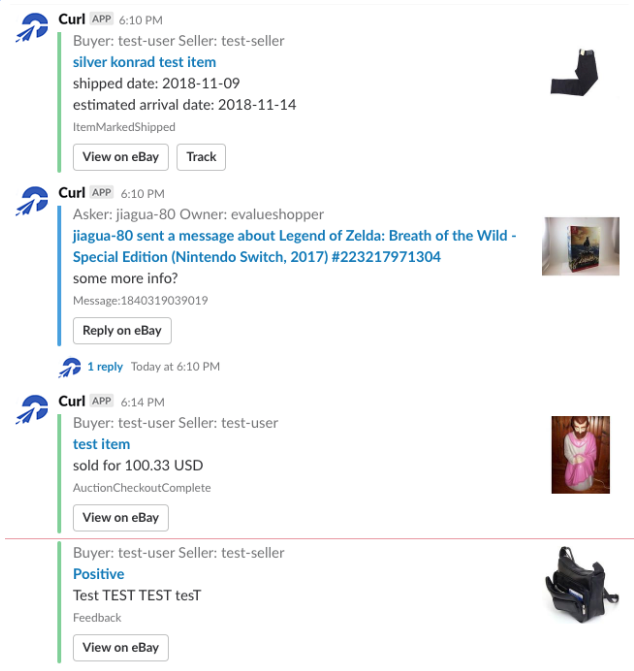 Get the latest notifications from your eCommerce stores instantly to your slack chat, from latest sales to question about individual items. As a marketing and analytics platform, curl offers a full suite of tools to improve the performance of your store. The email marketing side of curl lets you send emails based on data-driven results. Curl uses an A.I. technology with machine learning algorithms to send the right emails at the right time. Meaning, you can put the best products in front of the people who would be most interested in buying automatically! Slack – For real-time notifications on sales activity when items receive feedback. Baremetrics – Discover when your eBay or Shopify items are purchased. Intercom – Send instant messages and nudges when payments fail to improve your Paypal campaigns. Curl is a powerful tool for eBay and Shopify store owners to gain in-depth insight on how their store as well as their biggest competitors perform. Once installed, curl’s dashboard unlocks all the information you need to know when your business performs best and sales peak. The added email marketing features with A.I. machine learning turn remarketing campaigns into a strategic solution to drive more sales. Curl integrates seamlessly with platforms like Slack, Baremetrics, and Intercom for real-time notifications and data-driven decision making, which is a must-have these days. Is your store ready for curl? It costs nothing to test, so go ahead and let us know how it has (or hasn’t) helped you!